BlueCrew for Employers | On-demand staffing made simple. On demand staffing made simple. 200,000 pre-qualified employees ready to work. We simplify staffing for world class brands. BlueCrew connects you with pre-screened workers ready to start immediately in your area. Post jobs in mins and hire for 95% of your openings within hours. Whether it’s peak season or unexpected changes, scale up or down as quickly as needed, with no minimums or flat fees. 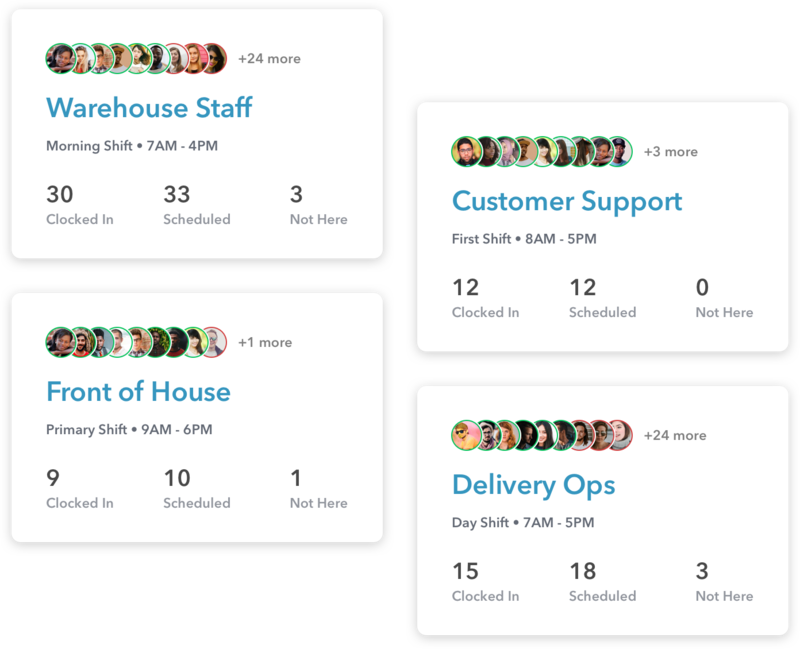 Track employee hours, reviews and feedback all through BlueCrew. We handle every aspect of your staffing needs, from background checks to W2 employee payroll. Our local accounts team will set you up and make sure you always get what you need. Our local team will set up your account and help you build job profiles with our easy to use web dashboard. Post new jobs in minutes. Create and post anywhere from 1-100 job openings in a matter of a few clicks. Use one of our job templates or customize your own. Instantly dispatch our vetted employees to your job. Manage timesheets, give kudos, and recieve feedback all in one tool. Let us handle the rest. our support staff is here to help! Schedule a demo with our team today. © 2019 BlueCrew Inc. All rights reserved.